Appreciate the beauty of this mystic land. 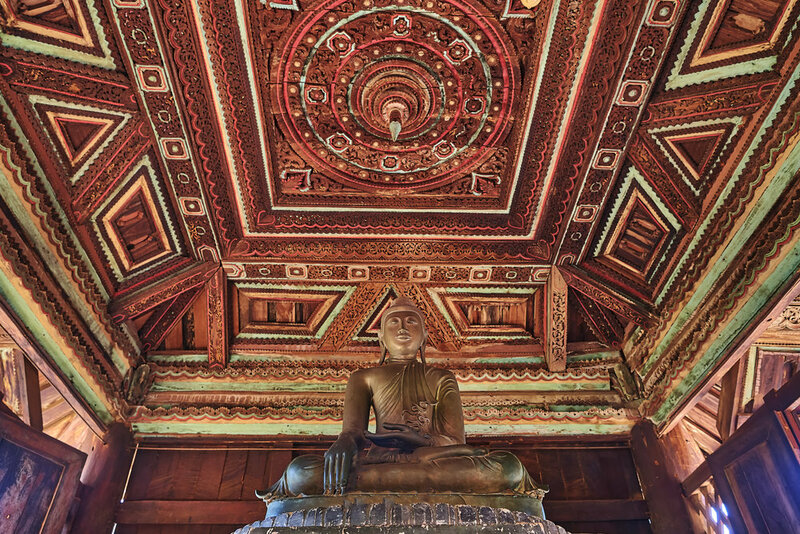 With fields of temples and their glistening gold, no wonder the land is known as Golden Myanmar. This cruise leaves from the colonial town of Prome to the ancient capital of Mandalay. Along the way, marvel at the glory of Bagan. This will be ten days to remember. Guests will be collected from the Sule Shangri-La Hotel in Yangon for a scenic drive to Prome (known as Pyay to the locals), where they embark the Irrawaddy Explorer. In the 1890s, Prome experienced a boom along with the Irrawaddy Flotilla Company. It is now an important trading post for goods travelling within Myanmar. In the afternoon, be driven to Sri Ksetra (also known as Tharay-Khit-taya), an ancient Pyu city that dominated this area between the 5th and the 9th centuries. Visit the Sri Ksetra Museum, full of excellent maps and artefacts including Hindu deities, Buddha images from as far back as the 6th century, Pyu beads, and silver coins. In the evening, enjoy a welcoming reception on board. This morning, take on tuk-tuk to visit the charming town of Thayet, stopping at the oldest golf course in Myanmar. Then visit the local market, passing colonial houses built during the British colonization of Burma. Return to the ship for an afternoon of scenic cruising. Venture out into the city of Magwe aboard trishaws (bicycles with sidecars). Take a short walk to the local market. After exploring and shopping at the market, return to the trishaws for a ride through the city to visit the Myathalun Pagoda. It is a beautifully gilded stupa sited on the top of a hill, offering wonderful views of the river and surrounding area. Return to the ship for lunch and a demonstration of two traditional Burmese items: the longyi (a garment) and thanaka (a traditional face cream). 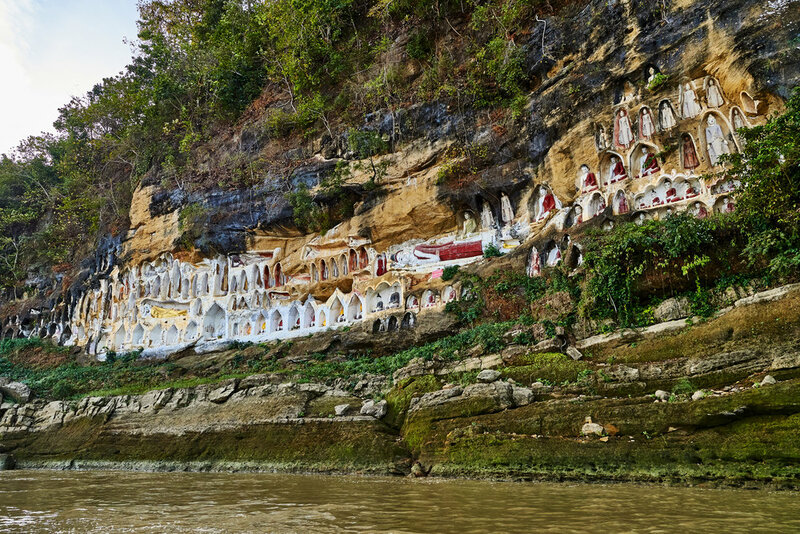 In the morning, walk ashore at Salay, a small town founded in the 13th century with Bagan-era shrines, beautiful 19th century teak monasteries and preserved British colonial buildings. Explore Salay House, a restored 1906 colonial trading company warehouse on the bank of the Irrawaddy. Inspect the town’s main Strand Street and the local market before visiting the beautiful Yokesone Monastery. In the afternoon, experience Bagan, one of the most incredible areas of Myanmar. Once the centre of the Pagan Empire, Bagan today is a tourist, artist, and archaeological wonder. Start the tour with the massive Htilominlo Temple. No visit to Bagan would be complete without exploring one of the most famous temples of Bagan, the Ananda Temple. Built in 1105 CE during King Kyanzittha’s reign, it is one of only four surviving temples from this period. In the evening, enjoy a traditional Myanmar puppet show. Be taken to Bagan viewing tower to see the scenic view of Bagan. Next, climb aboard traditional, ceremonial oxcarts for a short ride through the temples of Bagan. After lunch, visit a local workshop where the traditional methods of creating lacquerware are still practiced. There is time to shop before continuing the tour. Visit Gubyaukgyi Temple. See a sand painting demonstration by a local artist. See the Myazedi inscription, which is of both linguistic and historic significance, as the inscription is in four languages (Pyu, Mon, Old Burmese, and Pali), confirming Pyu as an important cultural influence in the early Pagan period. The final stop of the day is the Bagan Viewing Hill to view the sunset over the pagodas and stupas of Bagan before returning to the ship. This morning, after transfer by motor coach, inspect Bagan’s largest open market, where fresh produce, meats, spices, woodcarvings, longyis, thanaka, and rattan products are sold every day. Watch the negotiations and transactions taking place. 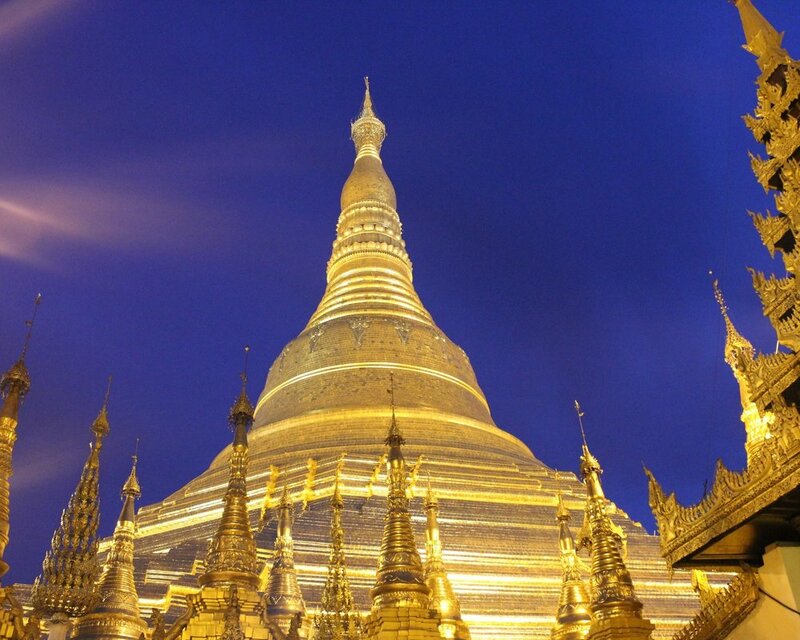 Walk through the market and proceed to the gilded Shwezigon Pagoda. After exploring this large temple complex, the coach returns to the ship, which sets sail for Hnaw Kone. Disembark for the second leisurely walk of the day. Hnaw Kone is a typical village, with friendly residents and adorable children. Stop and see the local handicraft of bamboo cane basket weaving. During the afternoon, there is a tea leaf and ginger salad demonstration. In the afternoon, enjoy a lecture on Myanmar. In the evening, sing along at a Burmese karaoke party. Visit Ava (also called Inwa) by horse-cart. Visit the beautiful 200 year old teak Bagaya Monastery, the 27 metre high watchtower and the Yadana Hsemee Pagoda complex. 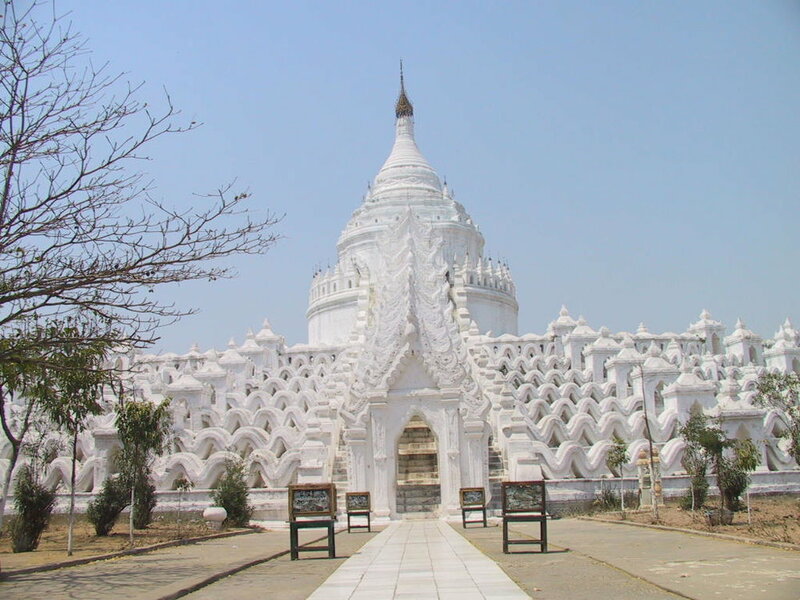 Coaches will take the guests to Sagaing, an important religious site with countless pagodas dotting the surrounding hillsides. Here, stop to see Soon U Ponya Shin Pagoda at the top of Sagaing Hill. After lunch, travel by coach to the penultimate Burmese royal capital of Amarapura to visit a silk workshop before driving to U Bein Bridge, believed to be the world’s longest and oldest teakwood bridge. Ride on a sampans for a leisurely cruise of the lake, while admiring the sunset over the bridge. In the evening, enjoy traditional Myanmar dance. After breakfast, enjoy a leisurely walking tour of the small town of Mingun. The first stop is King Bodawpaya’s monumental, uncompleted stupa. Continue to the Mingun Bell, which until 2000 was the heaviest working bell in the world. Stop at the local market, famous for its makeshift galleries that display inexpensive art from both local and internationally known artists. In the afternoon, take a tour Mandalay. Visit the Kuthodaw Pagoda, which contains the world's biggest book, as well as the Shwenandaw Monastery, the only original monastery left from the royal era. Proceed to a workshop that produces the gold leaf commonly used to adorn Buddha images throughout Myanmar, and the Mahamuni Pagoda, to see how the gold leaf is used. Enjoy a farewell reception in the evening.